Last week, Nasty Nas dropped a new track called "Another Black Girl Lost" - presumably a new song from his forthcoming album "Life is Good" (if it is still, indeed, called that). For those of you familiar with "It Was Written " (this is RapReviews, so that is probably most of you), "Another Black Girl Lost" is a sequel of sorts to the original track taken from his 1996 sophomore LP. The similarities, however, end there. This latest offering was widely panned by the harshest critics known to the music industry – the Twitterati. Within a few hours, it was then declared that the track wouldn't be making the album. Now, whilst it is unlikely that the opinions on Twitter made any real world difference to Nas, it has raised an interesting idea - for an artist who so frequently disappoints with uneven albums, how about handing over the task of "executive production" to a wider pool? The wisdom of the crowds. For those of you familiar with the biography of Steve Jobs by Walter Isaacson, you may recognise that the wisdom of the crowds isn't always the best approach – sometimes the consumer needs to be told what they want without them realising it (the iPad upon which I am dictating this review is a case in point). However, what if we take an artist who possesses undeniable genius yet flawed decision-making, and make them hand over the that power to a knowledgeable sample group who have no fear of delivering their most honest opinion for the greater good? We have already seen it with the superb first single, "Nasty," and the incredible follow-up released in March, "The Don" (far and away the best hip hop track of 2012 thus far). Both of these efforts were first leaked to radio, and then within a matter of a few hours, placed upon Nas' SoundCloud account. They were widely acclaimed, with Twitter in particular showering praise upon Jones, Remi, Heavy D and Da Internz. 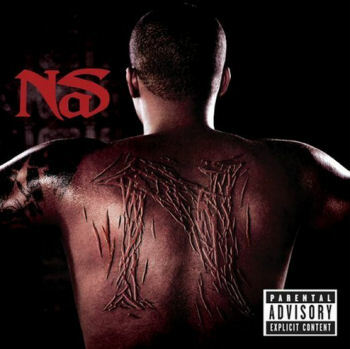 Videos for both songs were subsequently made, and in an elegant sort of way, this indirect crowd sourcing meant that Nas didn't waste any time or effort upon lesser choices that might have been favoured initially. Conversely, within hours of "Another Black Girl Lost" being leaked, the "critics" (or "Twitics") pounced, proclaiming it an unnecessary sequel to the original song and another example of the law of diminishing returns. The critics, of course, in this particular case weren't the usual parade of music industry journalists – it was solely the reserve of social networking sites. This is because at the time of day it was leaked, presumably most professional music critics were out of office, asleep, at gigs, or high on recreational drugs. So Twitter took over and delivered its damning verdict. And so to the wider point at hand: why doesn't Nas become the first major artist in history to open up the executive production of his album to social networking, and let the people decide the fate of his album? Since the artist in question perennially fails to deliver front to back classics, aside from when the LP is placed firmly in the hands of another Executive Producer (for example "Illmatic" with MC Serch and "Distant Relatives" with Damien Marley), wouldn't it be a particularly daring, bold and innovative step to create, let's say, 20 to 25 songs – And then let the people vote for the 10 or 12 best songs? After all, they are the exact target market that will actually be purchasing the album. This would help in numerous ways: the quality control would be undeniable, as it would be a gigantic, unerring, instantaneous and – importantly – free focus group. They would give their honest opinion, not to mention forge an emotional connection to the album, which would ultimately help cement their resolve to purchase it legally. After all, imagine if you could directly help Nas to choose which tracks go on the album… Wouldn't you want a piece of that action? Make no mistake: such a recognised artist has done this before – but not nearly at this level, or. And, following the news that Nas owes $6 million in taxes, and that the profits from this album will be sliced and diced for the IRS to pick from, surely it would be in Jones' best interest to make a critically acclaimed and commercially viable album, yet also in an innovative way. Of course, the artist would still be in control of the music, content, lyrics, and everything else that goes into the making of the album. In reality, the only true power being handed over to the public would be the task of choosing which songs make the cut, and which are deemed to be the most viable as singles. And let's face it, it's not as if the artist in question has a particularly great track record with these matters. The whole idea and concept would cost practically nothing to implement, would make history as being the first legendary artist to do so, and would surely end up with a superior product. Nas is in need of a classic album, not to mention one that will sell healthily and pay off his taxes. On the first two official singles, Jones sounds as hungry as he's ever been – perhaps the divorce and his monetary problems have sharpened his sword, and forced him to truly focus on creating great music. However, it would be naive to suggest that Jones would change the habit of a lifetime and simply gift us the true blue classic that we have all craved so desperately since his debut. Sometimes relinquishing control ends up empowering us even more – it frees us up to focus on our strengths, not our weaknesses.